While EU's Jean-Claude Juncker admits to "lying, when it's serious," it appears America's elites have a simple threshold for crossing the dangerous line into truth-saying - whether they are employed by the state, or not. 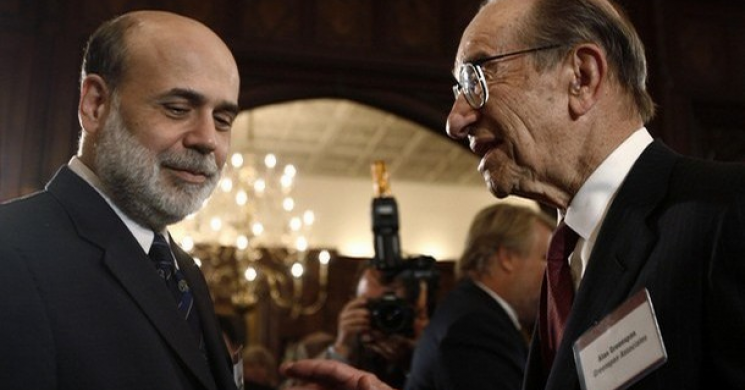 Former Fed Chair Alan Greenspan has confidently admitted that "Ron Paul is right, Gold is money" - the only real money - despite dismissing such a blasphemous phrase during his tenure at The Eccles Building. "...today, there is a widespread view that the 19th century gold standard didn’t work. I think that’s like wearing the wrong size shoes and saying the shoes are uncomfortable! It wasn’t the gold standard that failed; it was politics. " Of course, Greenspan ignores his own role in the creation of the boom-bust cycle which has doomed the world to series of ever more destructive bubbles and ultimately, hyperinflation which will likely be unlashed once the helicopter money inevitably arrives. In retrospect, the 90-year-old, who clearly is looking forward not backward, has a simple solution: the gold standard. If we went back on the gold standard and we adhered to the actual structure of the gold standard as it exited prior to 1913, we'd be fine. Remember that the period 1870 to 1913 was one of the most aggressive periods economically that we've had in the United States, and that was a golden period of the gold standard. I'm known as a gold bug and everyone laughs at me, but why do central banks own gold now? Just a year or two after leaving office amid soaring stock markets, plunging volatility, and collapsing yield curves, former Fed head Ben Bernanke proclaimed that "there will be no interest rate normalization in his lifetime." 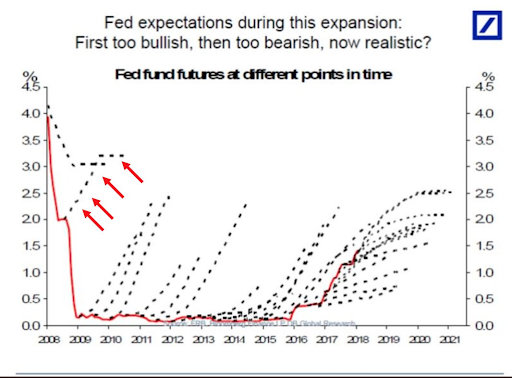 Hardly fitting with a) his projections during his tenure running the world's most powerful central bank, b) his own proclamations throughout his reign that The Fed knows what it is doing and will normalize rates 'soon'; and most importantly c) the current 'confident' refrain from The Fed that rate-hike normalization. Not exactly a great track record anyway. And now there is Bill Dudley. 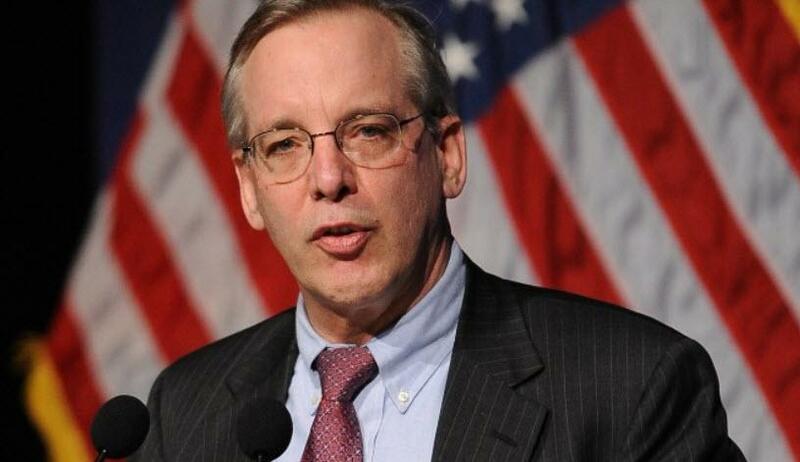 The outgoing New York Fed President sat down with Liberty Street Economics' editor Trevor Delaney for his exit interview... and - whether by intent or accident - Dudley let's slip a couple of 'truths' that we suspect Jay Powell would rather 'we, the people' were not aware of. "One of the challenges going into the financial crisis, for example, if you look at the big DSGE model - dynamic stochastic general equilibrium model - it didn’t include a finance sector. So the whole experience of what actually happened during the global financial crisis - the collapse of the financial system and that taking down the real economy - wasn’t an actual possibility within the major macro models that some economists were using to forecast the economy." "The financial market indicators give you a lot more information about what people expect to happen tomorrow and how the economy is likely to evolve, conditioned by those economic indicators. For twenty years now, I’ve been a big proponent of thinking about things through a prism of financial conditions. In other words, the Federal Reserve sets monetary policy, and that monetary policy sets financial conditions, and those financial conditions are what actually drive the economy. Historically macroeconomists imagined that changes in federal funds were transmitted directly from the Fed to the macroeconomy. But in my mind, the linkage between the federal funds rate and financial conditions is quite variable. So if you just focus on the federal funds rate, you’re going to, at times, make pretty bad forecasts about what’s actually going to happen in the real economy." And then Dudley admits that, in their attempt to rescue the world from a fate worse than death - i.e. global deflationary credit collapse and the unveiling of where asset values really lie - The Fed has lost control of its transmission mechanism through the interest rate channel and "has created a monster..."
And then, in a flourish of typical academic arrogance, Dudley points out how crucial it is to use financial market prices and indicators to inform policy decision, clearly missing the reflexive impact that Fed policy has on those very same market indicators. 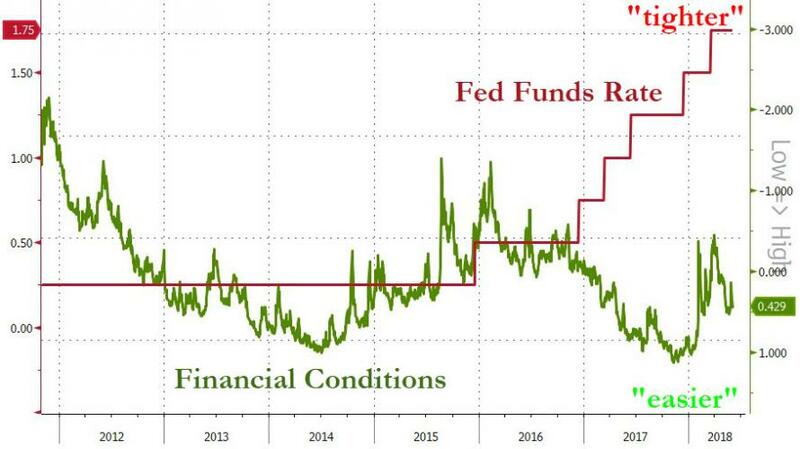 Just how well did the repressed and conditioned collapse of global volatility inform policy as February so rudely sparked the biggest tightening of financial conditions in history - with no apparent warnings whatsoever (that is, of course, if one ignores Minsky). Still... having left office now, with barely a scratch on his reputation, he can rest assured that any renewed lifting of the veil and consequent collapse in asset values will have nothing to do with him... because: "there has been progress incorporating financial factors into these models. We were nowhere, now we’re probably at the first or second grade."